On May 2010 i visited this area with 15 other friends. This made us a big group consists of 8 girls and 8 boys (not couple, though). Well, we gathered in Jakarta and headed to Wonosobo by bus which cost us 70,000 idr per person. It take more than 10 hours to get there. We departed at 8pm and be there around 6am in the next morning. We stop in a park “Alun Alun Wonosobo”, where a lot of traditional food served. At the same time we try to calming down our mind after tough night the day before, sleeping in the tremble bus that ride through the curving roads. Soon we were looking for an elf to get us up there, somewhere near Dieng Plateu. We already booked a home to stay so we won’t that much in a rush. The owner rented us two cars for riding around, plus two drivers who knew the area very well which cost us 1.8 million rupiahs (house and cars). Then we visited several craters which already turning into something that looks like lakes. The water is calm and quite, green and no sulfuric scent smelled. There are “Kawah Sileri”, “Telaga Merdada”, “Kawah Sikidang”, and also some temples area such as Gatot kaca and Arjuna Temples. Another nice stop by is a water spring called Tuk Bimalukar. There also some rumours about this one, that people who wash or drink this pure water will gain youth and become ageless. 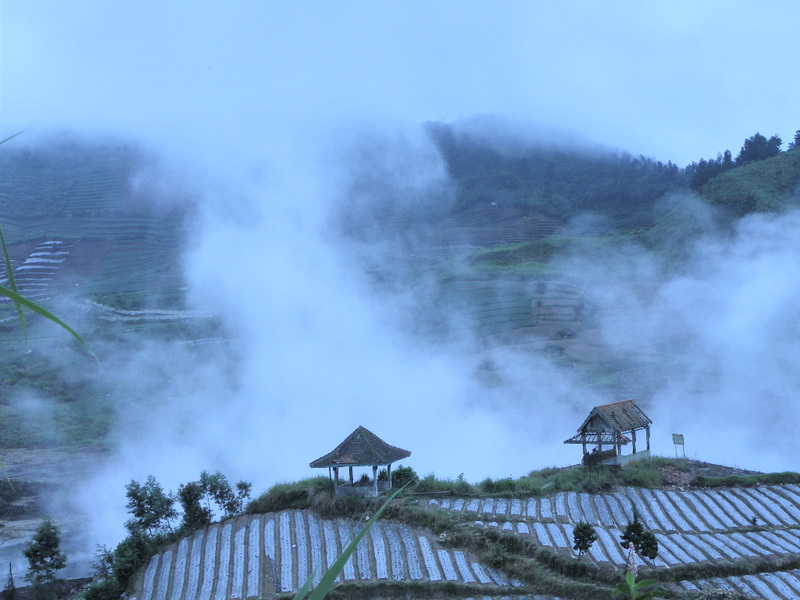 Dieng Plateu created through a volcano activity long time ago at the time I was not yet born. The eruption of the mountain caused so many people died. They not just died because of the volcano but also because of the sulfur acid evaporates from the crater later created. 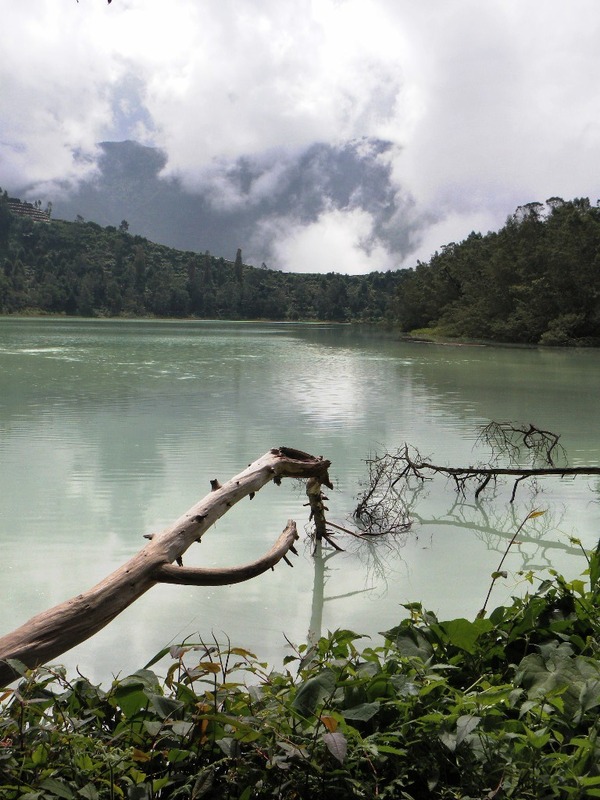 “Telaga Warna” also another result of these volcano activities which chill our eyes just by seeing it. The water is green, surrounded by green pine trees, and also a fresh air, make this place is just a perfect place to calm your mind down. We took several pictures here and it really no wonder that we need more time here since the whole place is like a beautiful paradise in which every place worth to be recorded on frame. Unfortunately nowadays the weather changes so unpredictably that we sometimes need to cancel our agenda for walking and turning around because of sudden rain. But it still a nice place to visit though. 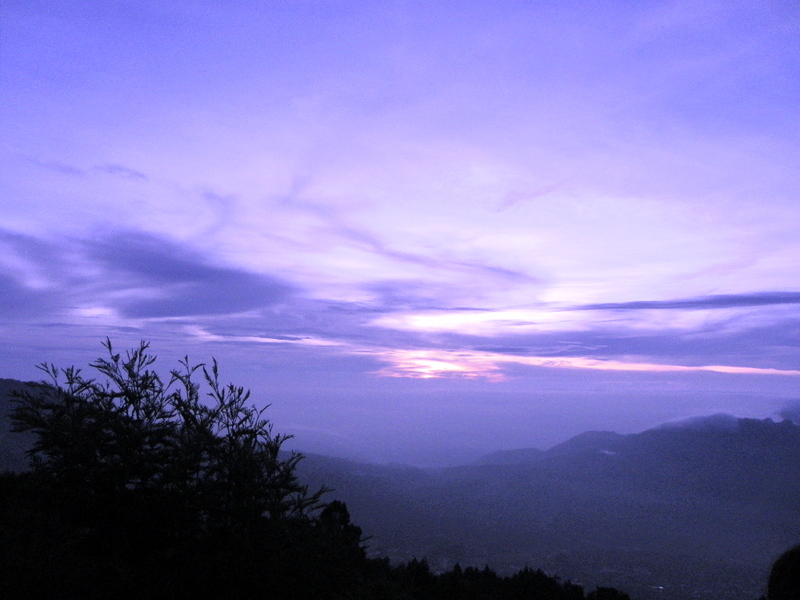 Anyway, we also got this mystically mist sunrise at the top of mount Sikunir. Well, this place need extra effort to be reached, but we were not regretting the whole super early morning tracking since it really is a pretty sun rise up there. From the top we can also see the “Telaga Cebong” lied down there, which surrounded by some local resident and also a far ranging farms. This place famous for it’s crops, some of them are potatoes, cabbage, chili etc. And the potatoes here are amazingly delicious. We also did rafting in Serayu River. It took another time from Wonosobo to Banjarnegara where the camp site for rafting participant located.